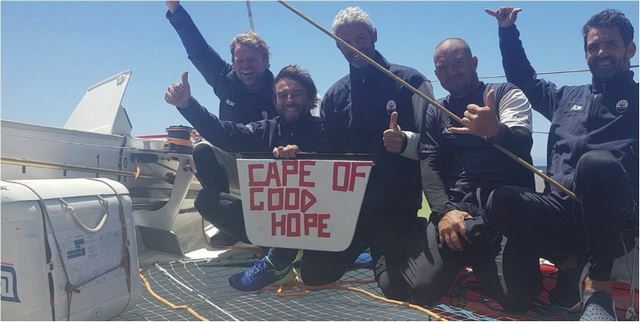 The second week of sailing of Maserati Multi70 ends at 800 miles from Cape of Good Hope with a 564 miles advantage on the roadmap of the record to beat. 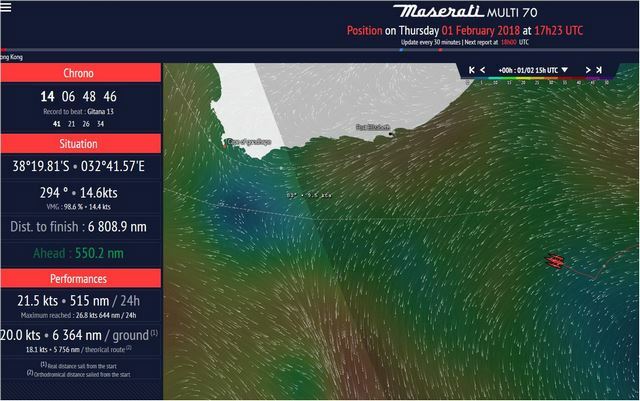 The Maserati Multi70’s crew is getting ready to face the last difficulty in this portion of the route: the crossing of a cold front associated with a deep depression positioned in the Roaring Forties. At the end of the second week of navigation on the route of the record between Hong Kong and London, Maserati Multi70 has covered 5,756 of the 13,000 miles of the theoretical route (18.1 knots of average speed). In fact, on the ground, it covered 6,364 miles at 20 knots of average speed. During this second week in the Indian Ocean, between the seventh and eighth days, the best daily distance was recorded with 644 miles in 24 hours. There are still 6,944 miles to London. 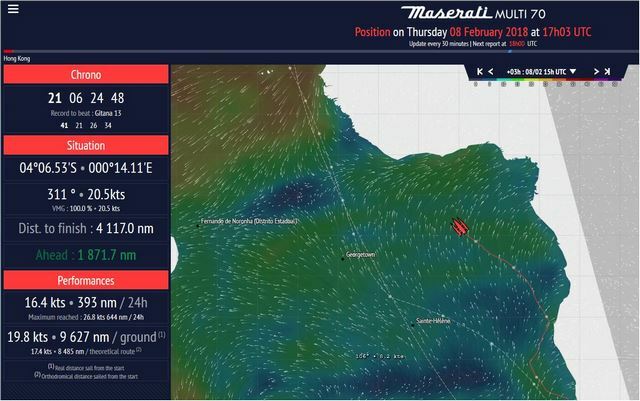 38° 51’S, 27° 03’E: this is the position of Maserati Multi70 this morning at 8.00 UTC. 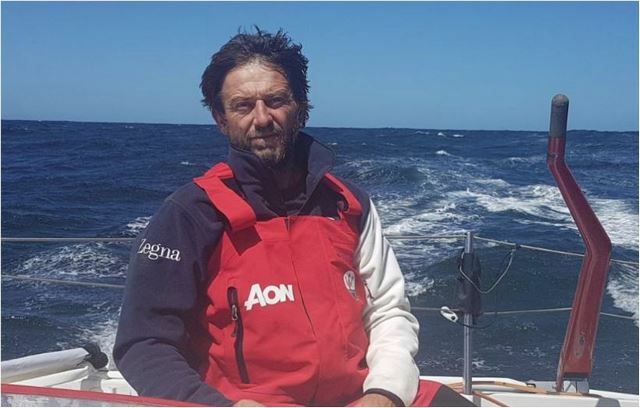 With an advantage of 580 miles over the reference time, Giovanni Soldini and the crew of the trimaran are about 500 miles south-east of the Cape of Good Hope. A maritime region characterized by the meeting of two oceans (the Indian to the East and the Atlantic to the West) and by the clash of strong sea currents: the warm current of the Agulhas that goes down along the eastern coast of Africa and the cold oceanic one of Benguela that climbs the western coast of South African. Already responsible for the strong meteorological instability in the area, these currents and their vortices further complicate navigation. 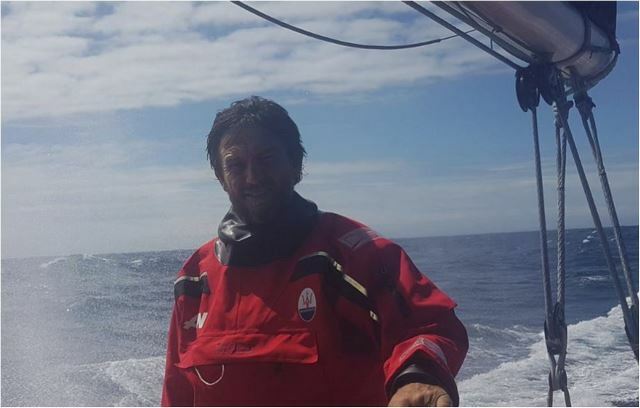 The crew passed through the cold front this morning around 8 UTC: “Now we are sailing with SW winds, about 25/30 knots”, explains Soldini. “The problems are the sea and the current: the swell comes from the North, a nice residual wind of the wind that we had. The current from North East collides against the wind blowing from South West. This happens around the continental shelf of South Africa and it might generate impossible sea state, so we tried to sail as far West as possible, in order to avoid the strongest zone of the current that raises walls against the waves from the South West”. Giovanni Soldini continues: “Now it is very important to go fast towards South Africa because behind this front will a high pressure is growing and it could block us for a few hours”. Round Cape Of Good Hope And Floor It! 1,358nm Advance On Tea Route Record! 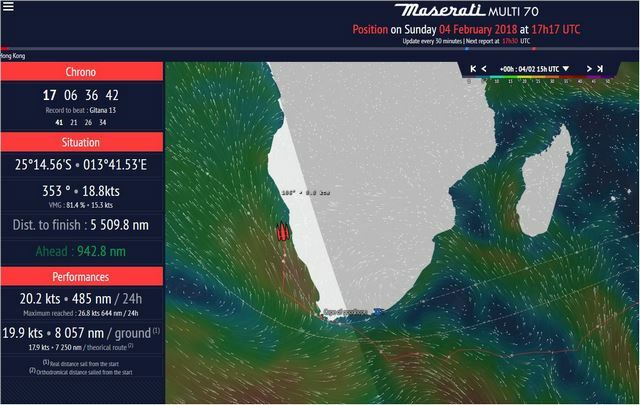 This morning Maserati Multi 70 is sailing 250 miles off the coast of Namibia at 22° S, the latitude of Walvis Bay, whose lagoon is a worldwide famous spot for sailing speed records on flat waters. Always with the wind astern, the crew had to make a couple of jibes to gain ground towards north. After the beautiful breezes of the last 48 hours, this morning, end of the eighteenth day of navigation, they had to pass through a lighter wind bubble. 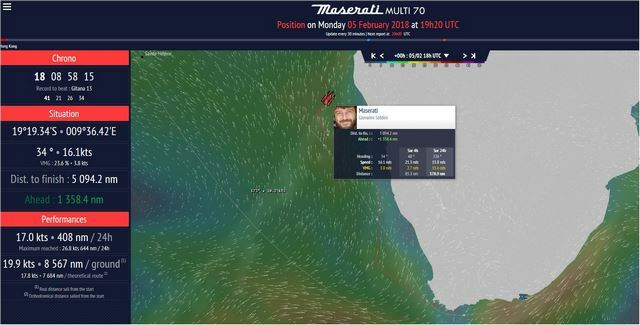 At 8.48 UTC, Maserati Multi 70 is 2,000 miles from the Equator if it were to pass it at longitude 15° W, but 2.400 miles considering meridian 25° W. It’s always the same question: where to cross the doldrums zone? The lead on the record holder has grown up to 1,200 miles. Remember that Lionel Lemonchois had to stop 48 hours in Port Elisabeth before passing Good Hope, to let a winter depression pass. There are less than 5,250 miles on the theoretical route. They just might make it! Probably a good thing to get some laundry done. Next report might have content on amputated fingers? Someone send them a can opener! 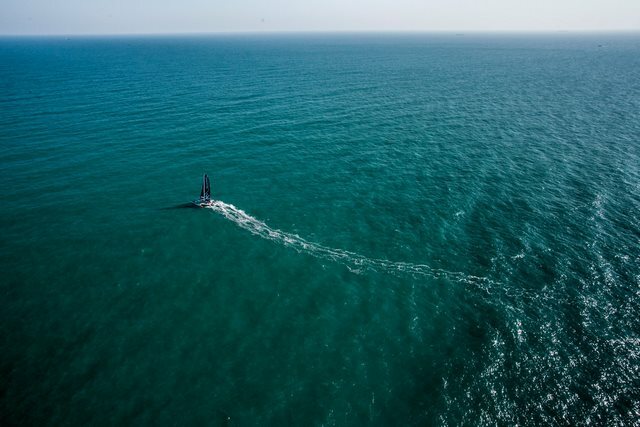 Across the equator with a 2,000nm lead! 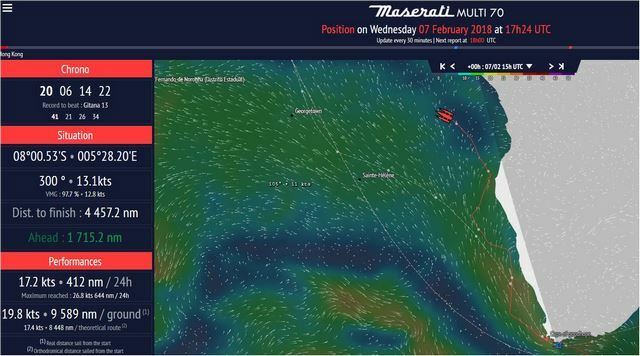 Maserati Multi 70 is back in the northern hemisphere after crossing the Equator at longitude 5°W today at 10.28 UTC after 21 days, 13 hours and 15 minutes. 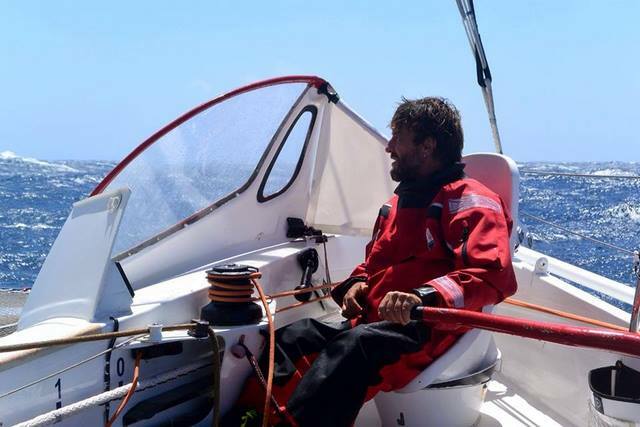 It’s an important moment for the skipper Giovanni Soldini and the other four crew members (Guido Broggi, Sébastien Audigane, Oliver Herrera Perez and Alex Pella) as Soldini explains: “We’ve passed the Equator. To get there after only 21 days from Hong Kong and six days from Cape of Good Hope is a pretty good time. We are happy, our eastern option, I mean our choice to navigate near the African coast, has paid off. 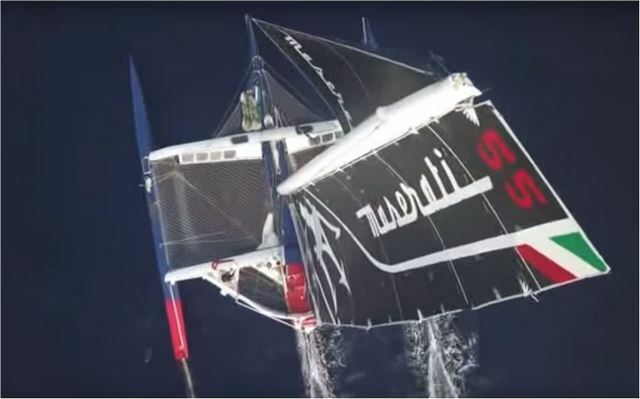 We have a good wind and we maintain good speeds. Now we are thinking about the northern hemisphere, it is the last part of the course; it is also the most difficult because we will arrive in winter. We must get ready”. 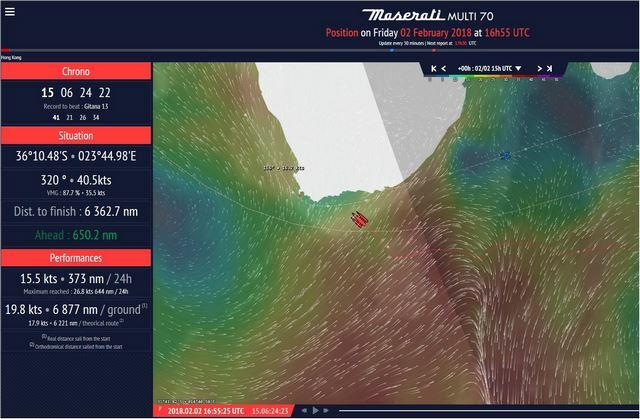 From its current position, Maserati Multi 70 will have to continue its route towards NW continuing along the coasts of West Africa before entering the north-eastern trade winds that look stable in strength and direction starting from latitude 10°N. After that, the crew will have to decide the route up to Europe and it will depend on the location of the Azores high and the trajectories of the winter depressions that sweep the North Atlantic at our latitudes. 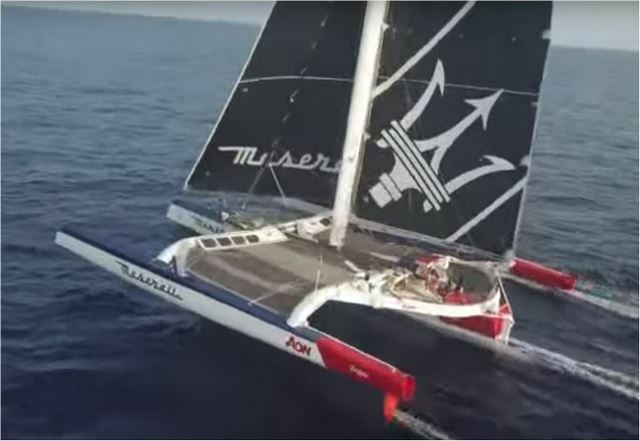 At 11.20 UTC rankings, the advantage of Maserati Multi 70 on the record holder’s roadmap is 2.009 miles, missing 3.630 miles until the finish line. 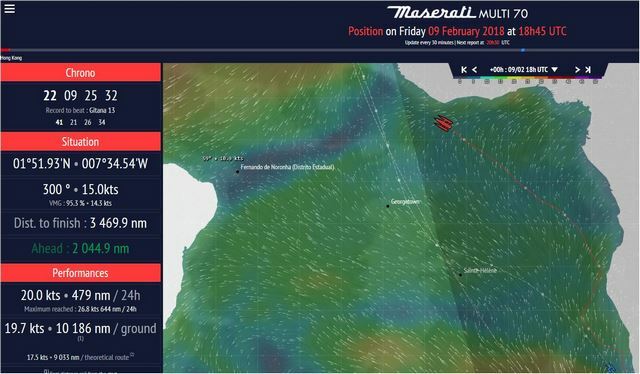 After three weeks and one day of navigation, Maserati Multi 70 has travelled 9.033 nm of the 13,000 miles of the theoretical route (average speed of 17,5 knots), actually it has already exceeded 10.186 miles sailed at an average speed of 19,7 knots.